I don't know about you, but March was a seriously mad month for us. I faced several big publishing deadlines (the new Paris book has finally been written and designed) while juggling a few new work projects and the logistics for a big overseas work trip. There were a LOT of 3AM nights here, I can tell you! Some mornings I even saw the sun rise. On one of these nights, over Easter, I was trying to do two things: edit the final copy for the Paris book, which had been sent by the copyeditor (who was also working over Easter), while searching for an email for a New York contact in my archive of 4243 emails. (Multi-tasking: it never works!) It was then that I stumbled across all these beautiful, thoughtful notes and emails from people, many of whom read this blog. Re-reading them, I realised, with a jolt of gratitude, just how stunningly, stupendously, wonderfully lovely people are. It was an email epiphany. Right there at 3AM. This past year, perhaps the past two years, I've seen all kinds of outrageous behaviour, not just in my life but in the media and society in general – outrage seems to be the default reaction for many people, don't you think? – but I think the tide is turning finally. Kindness is coming back into fashion. People are realising they don't want to be nasty or snarky – I certainly would never want to be remembered for being a nasty person – who would? – and courtesy and compassion are easing back into our lives. If I ever had any doubts about this, this wonderful archive of emails proved it. So here, in gratitude of all the lovely letters, notes, emails and Instagrams you've sent this past year, are a few lovely things in return. I hope the kindness keeps going around. Iris: "I don't have any rules because I would only be breaking them, so it's a waste of time." Iris: "I can't judge other people. It's better to be happy than well dressed." Iris: "We're not supposed to talk about the White House." Iris's husband (low voice): "We had a problem with Jackie." 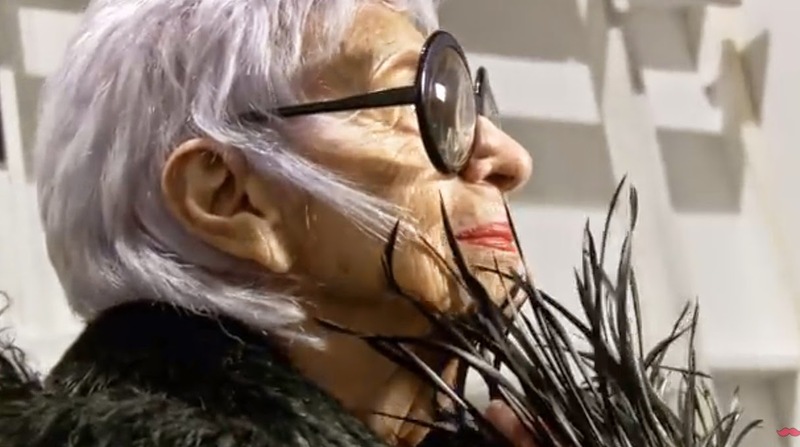 Ms Apfel is 93. Can you believe it? (Two other great films out this month are Dior and I and A Little Chaos, starring Kate Winslet and Alan Rickman, about the life and love of Versailles' legendary garden design Le Notre. 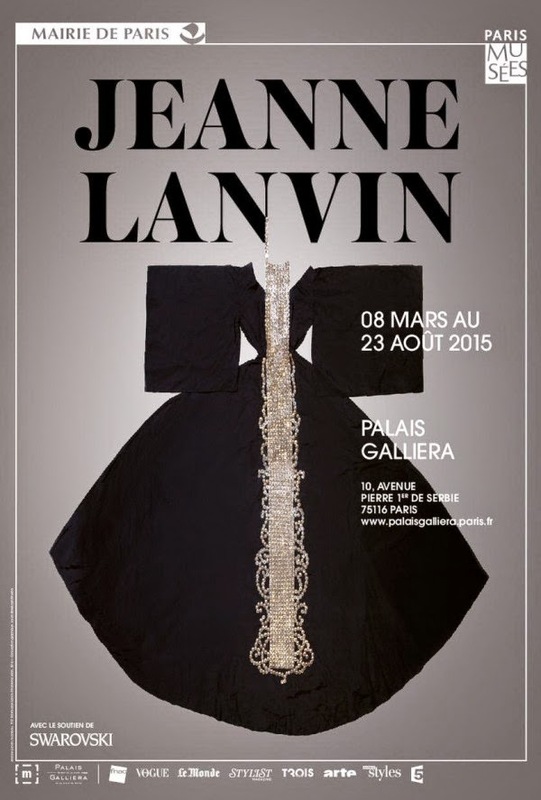 One of the most anticipated fashion exhibitions this year is Jeanne Lanvin at the Palais Galliera (the newly renovated Fashion Museum) in Paris. 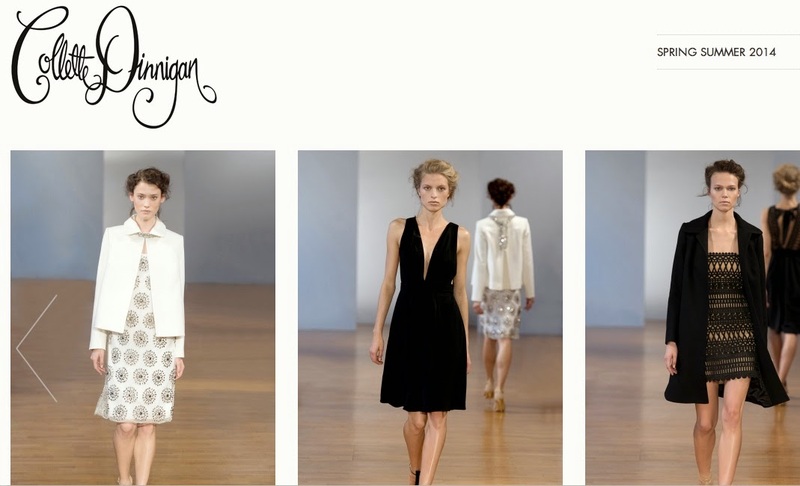 The oldest French fashion house (it just beats Chanel), Lanvin has gone through a spectacular revival these past few years, mostly under the inspirational direction of Alber Elbaz, and has emerged as a major player in the fashion world. 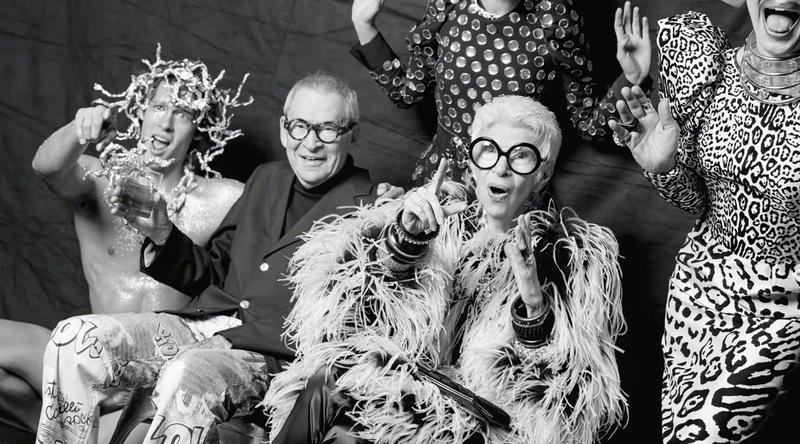 This exhibition looks at the history, style and of course the ornate detail of Lanvin's collections over the years, and is certain to be packed with fashion peeps this summer. 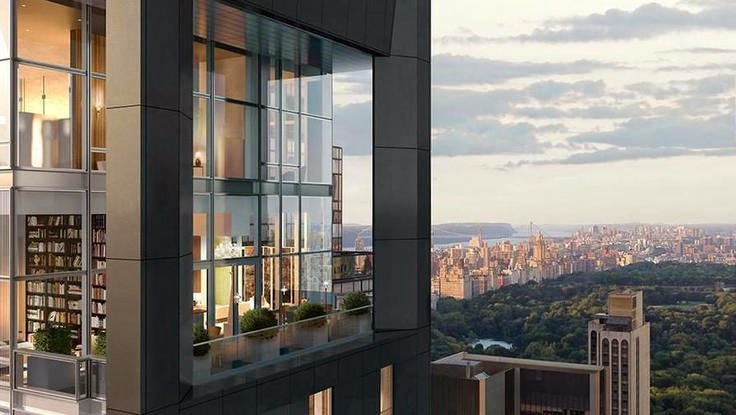 For those heading to New York this year, one of the most talked-about new hotels is the Baccarat Hotel (above), the sister hotel of the famous Paris property. As you would imagine, there's a lot of crystal but there's also a lot of view – look at the vista from the library above. Baccarat describes it as "as fusion of glamour and artistry". All I know is that the prices are a fusion of zeros, so be prepared. 20 W 53rd St, New York, NY. Ever since we subscribed to Netflix my partner has, like almost everyone we know, been binge-watching House of Cards. 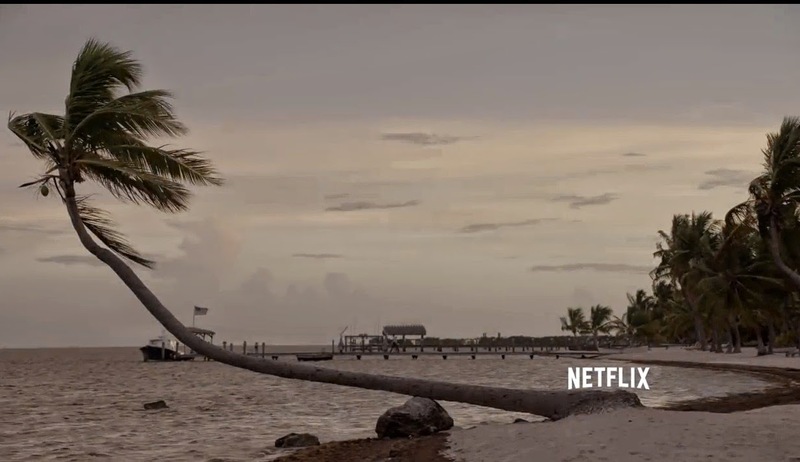 Well, the next Netflix series to pique everyone's interest (the Huffington Post called it "the next Netflix Obsession") is Bloodline, a series starring Kyle Chandler, Sam Shepard, Sissy Spacek and Australian Ben Mendelsohn in a must-watch role. 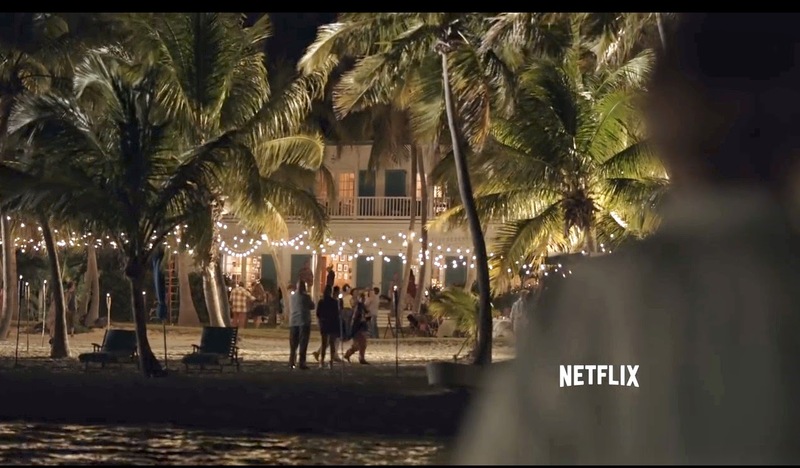 It's filmed in one of my favourite places in the world, The Moorings in Islamorada. (We've been lucky enough to have stayed at The Moorings three times.) The story focuses on a respected Florida family who live on a beautiful island in this beautiful 'village' of islands deep in the Keys, and whose fortunes are threatened by a black-sheep son (Mendelsohn) who may or may not expose dark secrets from their past. The trailer will HOOK you in, trust me. And if you go down and stay at The Moorings (themooringsvillage.com), say hello to the general manager Thomas Gibson and all the staff. They're the epitome of kindness. 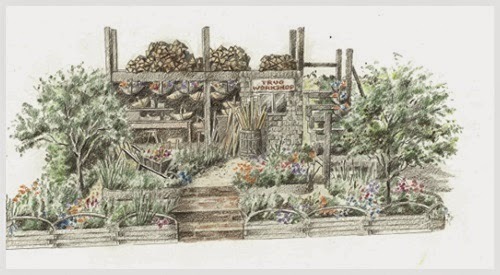 Details of the Artisan Gardens at this year's Chelsesa Flower Show are slowly being released to the media (the grand Show Gardens are all locked in and have been well covered), and one of the most delightful looks like being The Trugmaker's Garden. (Note: When I googled this, a line appeared that said: Did you mean drugmaker's garden? The Trugmaker's Garden (with a 't) was inspired by the dying art of handmade garden trugs, and by one particular artisan trugmaker Mr Smith, who became famous in the 1850s while exhibiting at The Great Exhibition. Mr Smith was asked by Queen Victoria if he would create several trugs as gifts for her family. The trugmaker was so proud of his trugs he put them in a wheelbarrow and walked them all the way from East Sussex to Buckingham Palace to deliver them in person. Now doesn't that sound like the kind of garden you'd like to see? There's also the Lavender / Provence garden, but I'm looking forward to seeing this one more, I think. 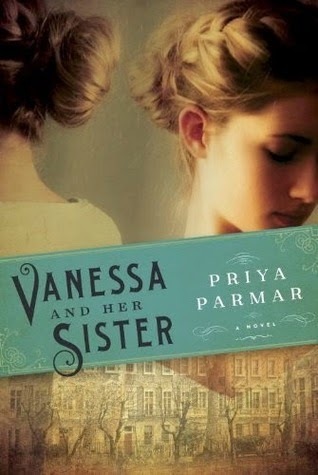 A lovely friend Andrina keeps me in the loop about great books, places and things, and has highly recommended the new book Vanessa and her Sister, about Virginia Woolf. It's a fictionalised story based on real letters and archives – much as The Paris Wife beautifully brought to life Hemingway and his wives – and centres on the affair between Virginia and Vanessa’s husband, the art critic Clive Bell. There's a great review here – LINK. 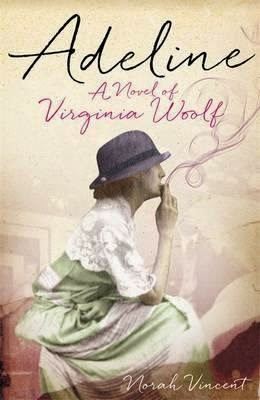 There seems to be a spate of Virginia Woolf books, with Adeline being the other big one that's making headlines. I was lucky enough to visit Virginia and Leonard Woolf's home, Monk's House last year, and fell in love with the garden, the rooms, the whole romantic atmosphere of it. It's a small property but terribly moving. The garden, which was Leonard's great joy, was the highlight. If you're going to Sissinghurst, it's only a short drive away. 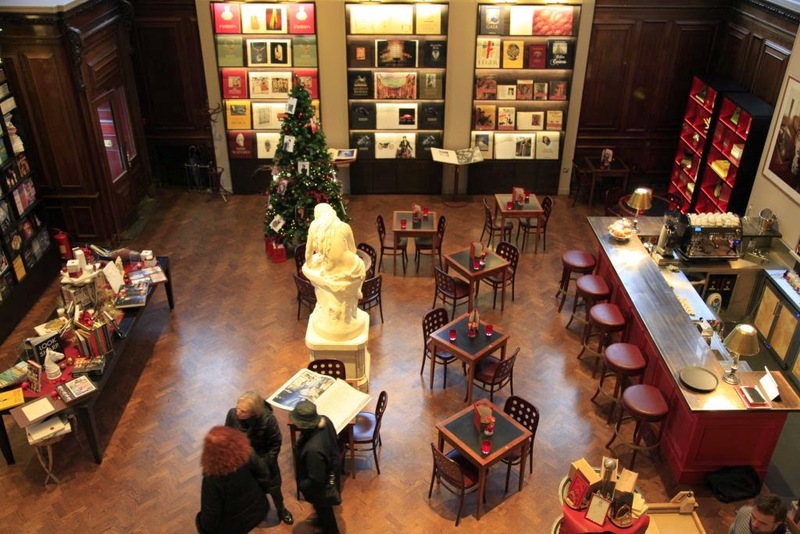 French publishing house Assouline has gained a reputation for designing bookstores that are as glamorous as its coffee-table tomes, and its new Piccadilly store is the latest spectacular space to wow browsers. A bookstore to rival Rizzoli (which is also opening a stunning Art Deco bookstore in the Flatiron in June), Maison Assouline's latest creation is part sophisticated bookstore, part chic cafe, with lots of antiquities thrown in for good measure. It's a must-stop if you're visiting London this summer. They're also very nice, linking to me on their Twitter feed recently. Sonia Rykiel's new artistic director Julie de Libran (ex-Marc Jacobs/Louis Vuitton) has been creating media headlines lately for her spectacular changes to the formerly elegant but occasionally staid French fashion house. She only accepted the job of artistic director late last year and has already produced a brilliant show against a backdrop of a pop-up library of 30,000 books in Sonia Rykiel's Saint-Germain boutique. Anyone who combines books with fashion so beautifully is bound to have a brilliant career. There's a lovely little interview with her HERE. If you were saddened by the closure of fashion designer Collette Dinnigan's stores last year, the good news is that she's returning with renewed energy and new fashion projects this year AND she's planning an exhibition for later this year. It will open at Sydney's Museum of Applied Arts and Sciences (The Powerhouse) in September. No details yet, but keep checking The Powerhouse website closer to the date. Anouska Hempel, the beautiful, stylish Australian designer who became famous for her groundbreaking London hotel Blakes (the world's first boutique hotel and still loved by celebrities) is working on a new Blakes Hotel project. This one is set in Singapore, in five heritage-listed colonial shopfronts, and will feature Ms Hempel's signature style, which mixes cabinets of whimsical curiosities with antiques, stripes, swathes of billowing silk, books, prints, Louis Vuitton trunks, and lots of old-style brass, polished nickel and silver. It's due to open late 2015 and will certainly be a serious competitor for Raffles Singapore. There's a great interview with Anouska Hempel HERE. And if you haven't yet bought her recently published monograph book, do search for it: it's one of the most beautiful design books out at present. 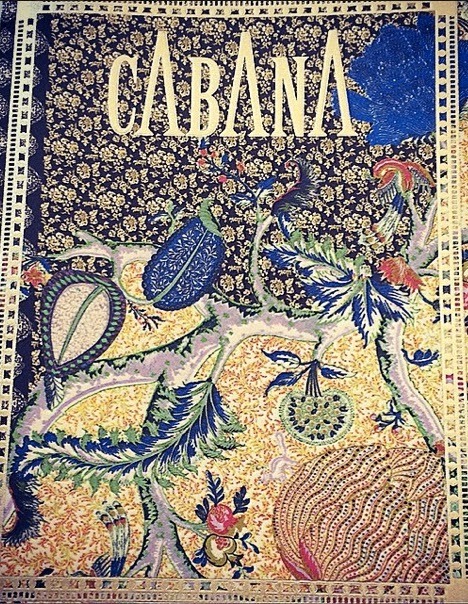 Last year, I posted about the new Cabana magazine, which I stumbled across at Colette in Paris. It's only published a few issues but the production values are incredibly high and the content (interiors, places, textile, design) is fascinating. It's an Italian magazine but the stories mostly consist of images and the captions are in English. The newest issue features Portugal and all its glorious tiles and textiles. Cabana's Instagram account is HERE. Yves Saint Laurent's partner Pierre Bergé's is auctioning his personal library via Sotheby's later this year. André Leon Talley is working on a new tome about the life and fashion of the late Oscar de la Renta, due to be published later this year. Manolo Blahnik is releasing an enormous tome of his work through the decades, also due to be published later this year. Sara Gruen, author of the bestselling Water for Elephants (Reese Witherspoon was brilliant in the film version) has released her new novel At The Water's Edge, set in Scotland during the war.